Combine ingredients in a saucepan over medium heat until the sugar is dissolved. To thicken, mix ½ tablespoon corn starch with 1 tablespoon water and add to sauce. Simmer on medium heat until thickened. 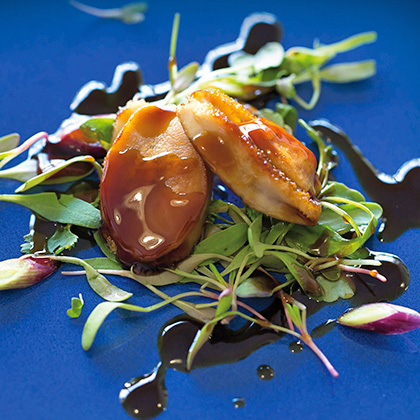 Grill the abalone for ± 2 minutes per side – do not overcook. Serve immediately with the Teriyaki sauce.